A problem with your truck's sound system most likely means a problem somewhere in the system's electrical wiring—every driver and mechanic's worst nightmare. 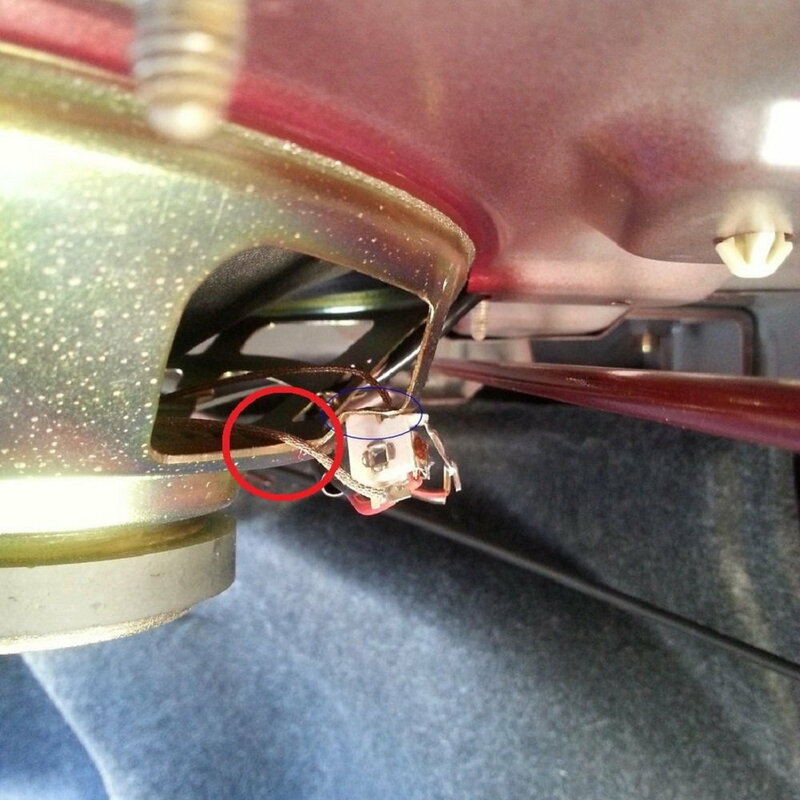 Continue reading for a diagnosis and possible fix to the lack of music coming from your Tundra's speakers. Whether you hear distortion, clipping, slapping, or crackling coming from the speakers in your Tundra, or the entire sound system has just plain stopped, we have an idea of where you should look. But first, if you've just installed a new head unit, amplifier, subwoofer, and speakers, you'll want to check if the all of the aftermarket components are compatible with one another, meet all of the power requirements, and are calibrated correctly; we recommend that you take your truck to a car audio specialist who most likely has the proper tools for an in-depth diagnosis and repair. Now, if your stock or relatively new aftermarket sound system has begun to act up, the cause might not just be a common one, but it might also have a common fix. Before attempting the following diagnostic steps, always make sure the battery is disconnected and that you take the necessary safety precautions. Nearly all electrical components and accessories in your truck utilize fuses and relays that act as safety switches in the event that a dangerously large amount of power is supplied to the components. In this case, the power supply leading to the radio accessories may have reached a high level and caused the fuse to blow. Gain access to the fuse box under the hood or under the dashboard. Remove the cover of the fuse box, and refer to the inside of the cover to determine which fuse correlates to the audio system. Use Figures 1 and 2 to help you determine which fuses are connected to the audio system. Use a pair of needle nose pliers to remove the fuse. Visually inspect the fuse. If the metal wire in the fuse has separated, the fuse is blown and you must replace it with a new one. Install a replacement fuse, and make sure it has the same amperage rating. Figure 1. Toyota Tundra 2008 engine compartment fuse box. Figure 2. 2008 Toyota Tundra driver's side under-dash fuse box. If all of the fuses are intact, move on to the following step. Turn on your car and play a song that demands the use of all the speakers. 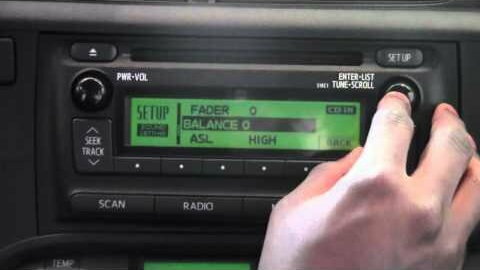 Use the head unit settings to adjust the balance, fade, and volume levels to isolate each speaker. Listen to the speaker and make sure you hear a sound coming from it, and feel the speaker for vibrations. If you've isolated one speaker that isn't working, it might have blown and you will need to replace it. Figure 3. Toggle audio settings to isolate a speaker. If none of the speakers are blown, move on to the following step. They might have frayed and are grounding out. 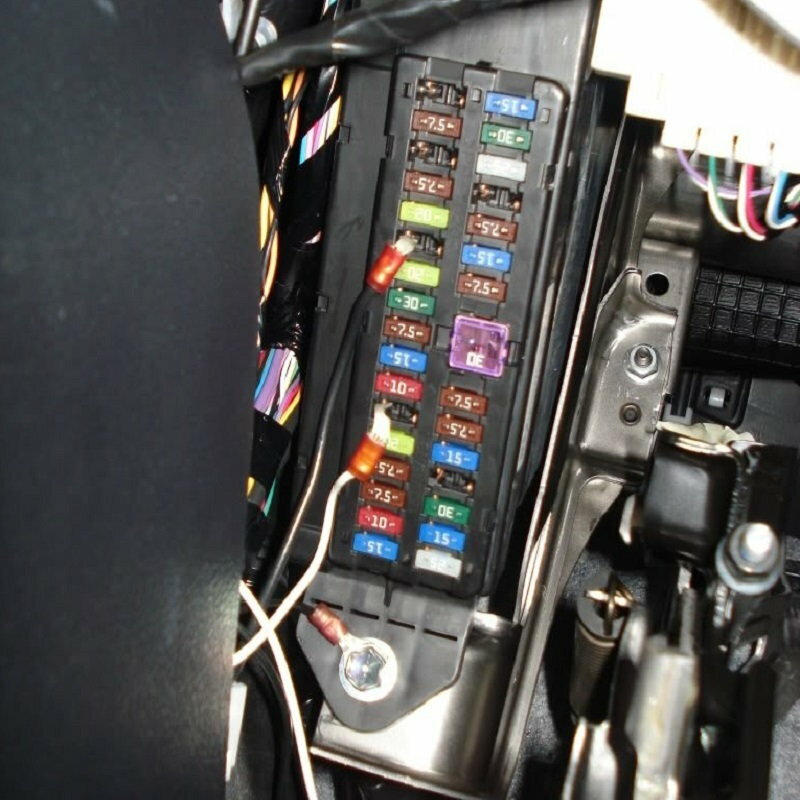 For the stereo system to work, a proper current must be maintained throughout the wiring system. 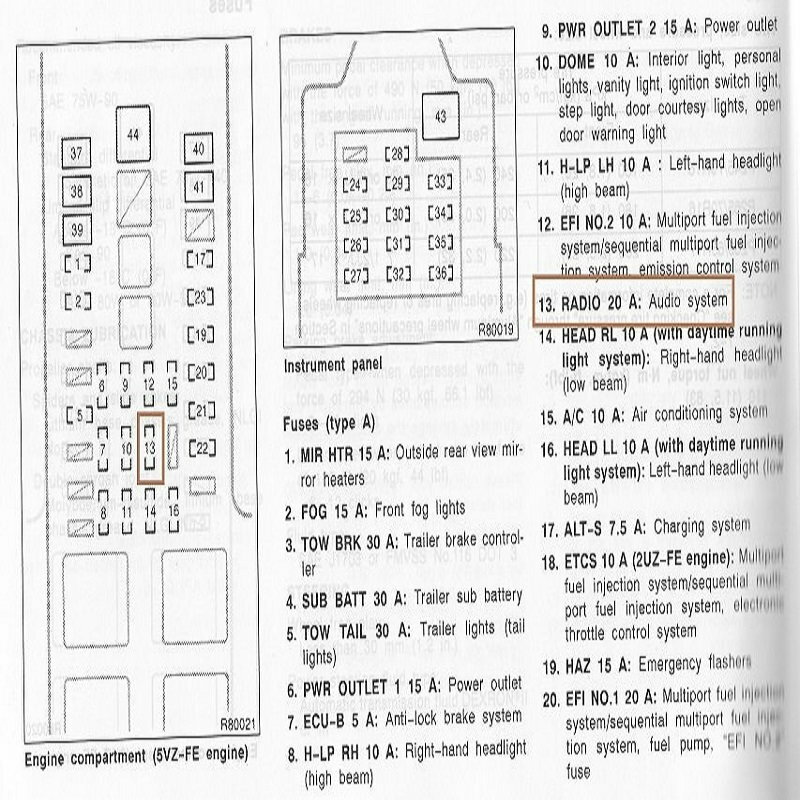 The positive terminal of the car battery is connected to the amplifier, which in turn relays the battery power to the speakers; the negative terminal of the battery is connected to the frame of the car and acts as the ground wire. Pull out each speaker and visually inspect the terminals. Make sure no wires are in contact with the the frame. From the terminals, follow the wire and make sure there are no tears or cracks. if you find a tear or any wires that are grounding out, use electrical tape to wrap them up and secure them properly. Inspect the speaker power supply wires as well as the RCA cables. After visually inspecting the wires, use your multimeter to test the voltage running through the wires, which should be around 12 volts. If there is no power or current running through a speaker, it might have blown and you will need to replace it. Figure 4. Speaker wire contacting the metal frame. Figure 5. 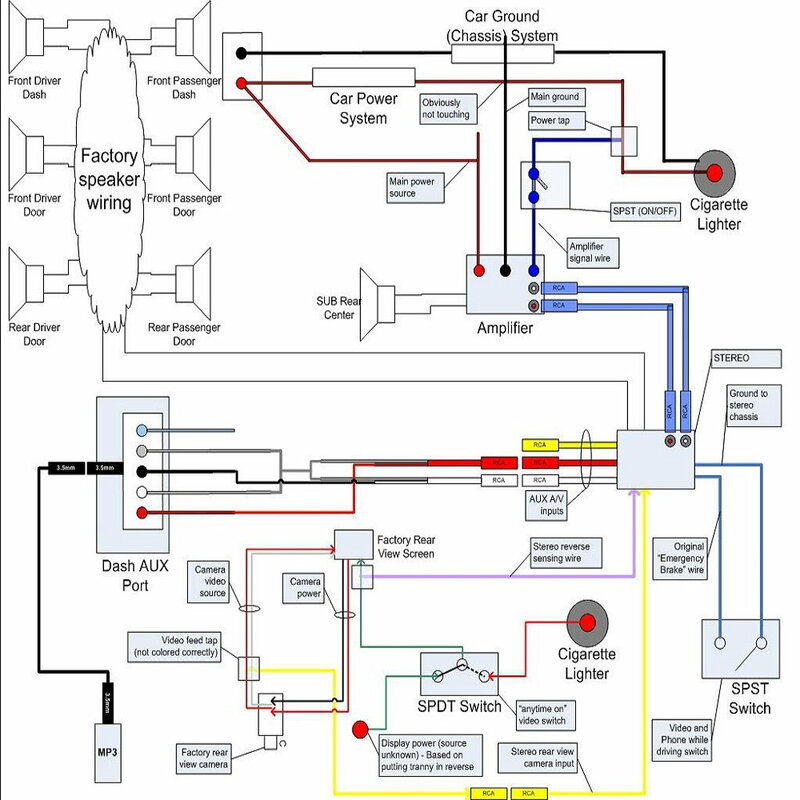 Sound system wiring diagram.